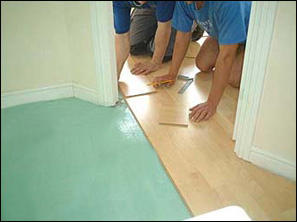 Laminate flooring was invented in 1977 by the Swedish company Pergo. The company first marketed its product to Europe in 1984, and later to the United States in 1994. 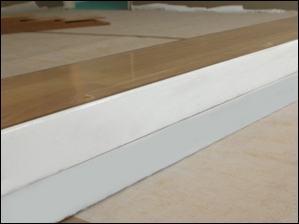 Pergo is the most widely known manufacturer, but the trademark PERGO is not synonymous for all laminate floors. High quality laminate floors are now made by many of the brand names you know and trust, such as: Mohawk, Shaw, Quickstep, Armstrong, Bruce, Endless Beauty, Provenza and many more. Laminate flooring has become a popular choice for many homeowners due to its ability to closely emulate today’s most popular hard surfaces, especially hardwood planks and ceramic or stone tiles. Besides the great textures and designs, it offers improved durability, easier maintenance and affordability compared to other types of hard surface floors. 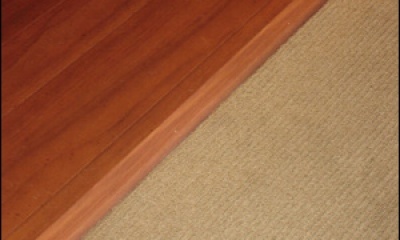 These floors are extremely resistant to wear, stains and sunlight fading. The beautifully rich textured finishes make these floors a great alternative for most areas in the home. 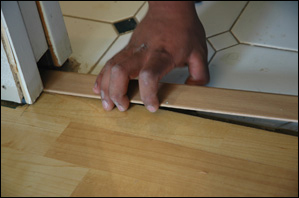 Having arrived from Europe over a decade ago, laminate flooring was inspired by countertop materials, only it’s at least 20 times stronger. With an aluminum oxide crystal surface it is virtually impossible for spills and scuffs to leave a mark. The clear surface layer protects the pattern underneath and is highly resistant to cigarette burns and scratches from pets. 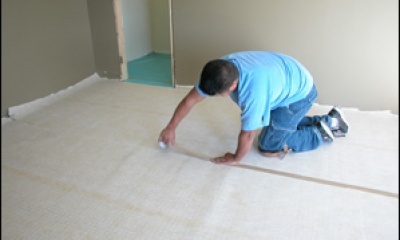 Maintenance is quick and easy using a damp cloth or vacuum and most household cleaning chemicals will not harm the floor. 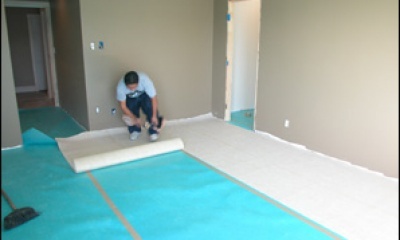 The surface is hygienic and is excellent for people suffering from allergies. 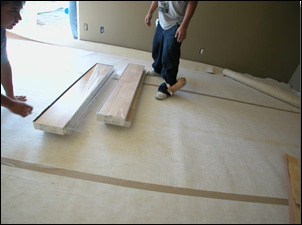 Specially engineered with layered construction, laminate flooring can be installed almost anywhere in the home, including over dry concrete slabs, wooden subfloors and can also be installed over many types of existing floor coverings. 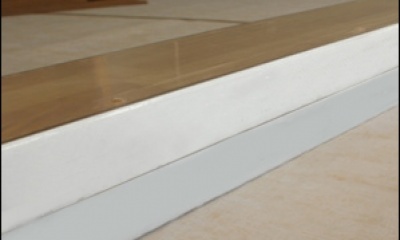 The low profile of this floor means it is particularly suited for renovation and restoring old houses where floor thicknesses can be a problem. 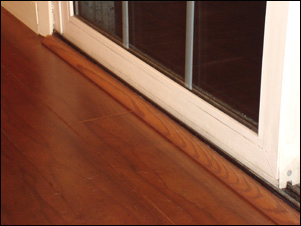 The world waited a long time for realistic looking laminate flooring and now that it is here, homeowners are finding it has many important performance advantages over other types of flooring. 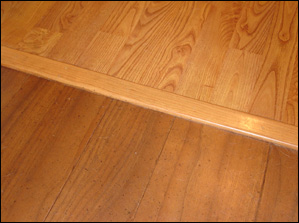 Laminate floors are considered to be very low-maintenance when compared to wood floors. 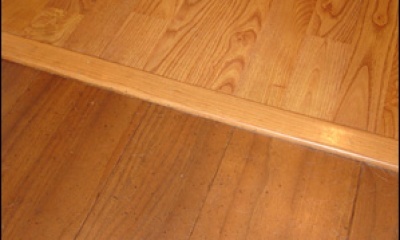 Unlike natural wood, they do not require waxing, oiling or staining. 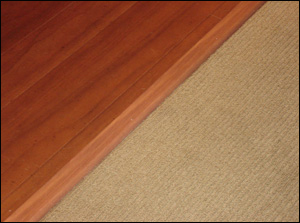 It is important to keep laminate clean, as dust, dirt and sand particles may scratch the decorative surface over time in high-traffic areas. It is also important to keep it relatively dry, since sitting water/moisture can cause the planks to swell, warp, etc, though some brands are equipped with water-resistant coatings. Water spills aren’t a problem if they’re wiped up quickly, and not allowed to sit for a prolonged period of time. 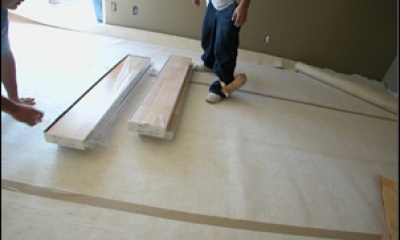 Adhesive felt pads are often placed on the feet of movable furniture to prevent scratching. 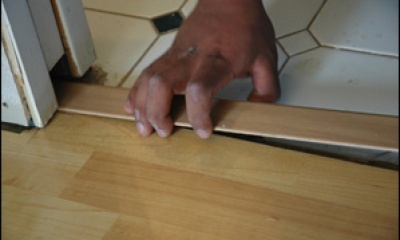 Main Street Kitchen and Flooring has been a leading source for laminate floor since it’s introduction to the United States. We have experience with every type and style and have watched this type of floor go from it’s infancy as a fake looking facsimile of the real thing, to an unbelievably realistic and beautiful option. 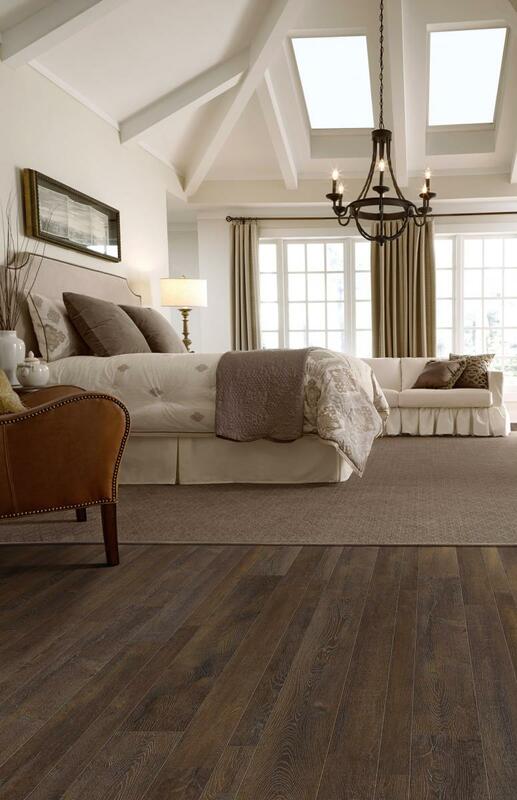 If you haven’t seen laminate flooring lately, you haven’t seen it at all. A look at our full range of new styles will have you convinced. Please visit one of our showrooms for a complete introduction. Call us today or visit our convenient showroom that’s Open 6 Days a Week – Monday Through Saturday. Our In-store specialists have been through hours of training to educate our customers, answer tough questions, and provide the best customer service possible. We will show you why we deserve to earn your business! The quality of the laminate partially has to do with the photography and the number of photographs per style, which is known as “screens”. 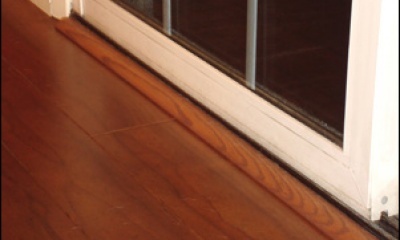 T-Molding is commonly used in doorways to join two laminate floors in adjoining rooms. 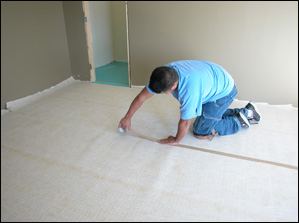 It’s also recommended when making transitions from a laminate floor to another floor that is approximately the same height. 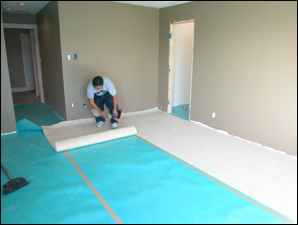 Installers will typically begin in the left corner of the area and leave a minimum 1/4″ space between the flooring and the perimeter walls.